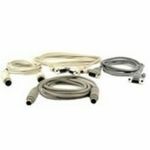 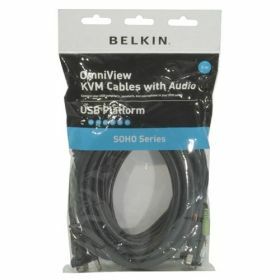 The KVM Cables for SOHO Series with Audio allow you to connect your USB computer, speakers, and microphone to your SOHO Series KVM Switch with Audio. 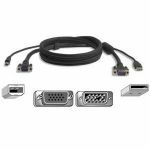 Each provides high-performance connections with all the cabling necessary for complete installation of an OmniView SOHO Series KVM Switch. This product works with OmniView SOHO Series KVM Switches with Audio, and many other KVM switches supporting USB.